Beneath the excitement about these potential cures lies an important catch: No one knows how much to charge for them. The new therapies aim to fix the root causes of disease with a single dose, in which the correct genetic material is introduced into the patient’s cells. If the treatments can replace a lifetime of conventional costly drugs, they may slash overall spending, even at multimillion-dollar prices. Yet the prospect of high costs is already stirring pushback. The Swiss pharma giant says one answer could be installment payments, reducing the upfront cost. That’s what it plans for Zolgensma, a therapy for a devastating muscle disease that’s expected to get approval soon. More drugmakers are betting gene therapies will have a big impact on patients and profits, with Pfizer last month agreeing to collaborate with Paris-based Vivet Therapeutics on a treatment for a rare liver disorder. The Food and Drug Administration forecasts as many as 20 cell- and gene-therapy approvals each year by 2025. Doubts remain about whether the treatments will sustain their dramatic results, making it difficult to determine their value. Rational prices are critical to ensure the breakthroughs get to patients who desperately need them, said Steven Pearson, president of the Institute for Clinical and Economic Review, a nonprofit whose reports on pricing have gained influence in the debate over U.S. drug spending. If they’re too low, it could deter investment, while exorbitant costs would strain health networks. Novartis’s Zolgensma is a test case for the budding field. The treatment for spinal muscular atrophy awaits a regulatory decision in the U.S., where UBS Group analysts assume it will carry a price tag of about $2 million. That would make it the country’s first multimillion-dollar therapy. In a February report, Boston-based ICER highlighted figures showing the treatment could be worth as much as $1.5 million — and as little as $310,000. Novartis, however, focused on different measures in the analysis suggesting a much greater value of as much as $5 million. The alternative to Zolgensma is the current treatment for spinal muscular atrophy: Biogen Inc.’s Spinraza, which patients take for life. Biogen said its treatment, launched in the U.S. two years ago, is backed by more evidence than Zolgensma, though Novartis said it now has almost five years of data. Spinraza costs about $4.1 million over a decade. 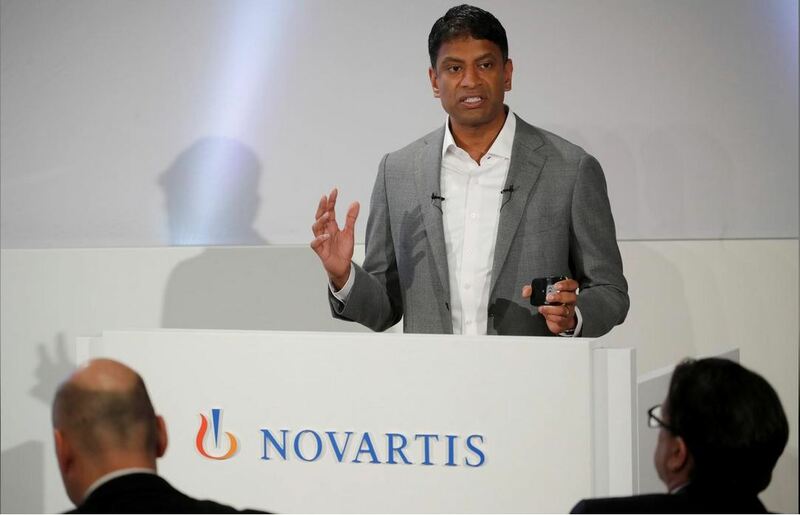 Novartis’s installment plans would spread out payments over five years, Narasimhan said. The company would also offer reimbursement if a patient dies or the treatment otherwise fails within that period. A number of other companies are studying arrangements to space out payments. Bluebird Bio Inc. has said that up to 80 percent of the costs of its first gene therapy may depend on its performance over several years. The price won’t exceed $2.1 million. “We believe in the lifelong value of these products, but we also believe we have to share risk because we can’t tell you, look you in the eye and say with 100 percent certainty” that the benefits will last over the long term, said Nick Leschly, Bluebird’s CEO. The high-priced therapies have yet to yield a blockbuster. After just a handful of patients got Strimvelis, a treatment for an immune disorder that cost about $675,000, GlaxoSmithKline offloaded it to Orchard Therapeutics. UniQure’s Glybera, a $1 million treatment for another rare condition, flamed out. Related therapies that alter patients’ immune cells to fight cancer, like Novartis’s Kymriah, have also struggled. Therapies for hemophilia in development at companies such as Spark Therapeutics, which agreed in February to be purchased by Roche Holding, will be watched especially closely; the bleeding disorder can cost tens of millions of dollars to treat over a lifetime, and gene therapy prices are bound to reflect that. Anticipating the surge, drug-cost authorities in Britain and Canada are collaborating with ICER to test new methods for valuing hoped-for cures. How the two sides define success and account for a lack of long-term evidence are among the hurdles, said Michael Sherman, chief medical officer of Harvard Pilgrim Health Care, a Boston-based health plan. If prices are too high in the first place, installment plans aren’t going to resolve the dilemma. Without a fair starting point, “we may only be spreading out payments that make it easier to pay for an overpriced drug,” he said.